Engineering and building high-performance shrink appliances in-house for standard machines as well as unique applications. In addition to the standard heat shrink tubing product line, Shawcor provides a full range of technically advanced shrink appliances. Years of experience in processing heat shrink materials have resulted in the creation of a variety of processing devices, from a simple heat gun to high-performance shrink tunnels. Beyond the numerous standard machines, Shawcor constructs custom machines for unique applications. The DERAY®-Shuttle 240 / 60 is a single table-top workstation and a semi-automatic shrinking device for sealing and insulating ultrasonically welded and crimped splice joints with cable lugs. 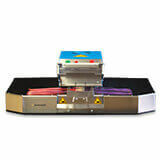 The DERAY®-WorkMan TP is a semi-automatic bench-top hot air shrink appliance. 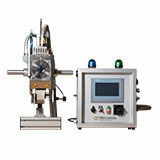 It is used for the processing of heat shrinking products on wires, pipes and seat belt applications. The DERAY®-PSP 240-S shrinking machine is a semi-automatic unit designed to install and shrink splice-sealing products, with a maximum of 5 splices in one work operation, onto ultrasonically welded or crimped splice joints. DERAY®-SpliceMan IR is a semi-automatic unit with infrared heating elements, designed to seal and isolate ultrasonically welded and crimped splice joints. 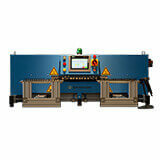 DERAY®-Board-Workman TP ADE is a mobile shrink machine which is used on the cable board with a balancer. The appliance has been designed to seal and isolate ultrasonically welded and crimped-end splices on stationary and mobile cable boards in transfer lines. 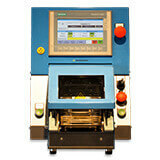 Look at our Application Equipment Catalog to learn more about all our shrink devices.